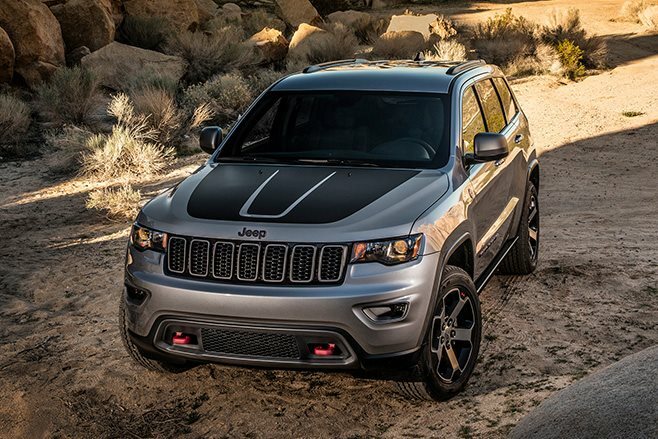 JEEP has launched its updated Grand Cherokee range in Australia, and it’s headlined by the arrival of the off-road-focused Trailhawk. 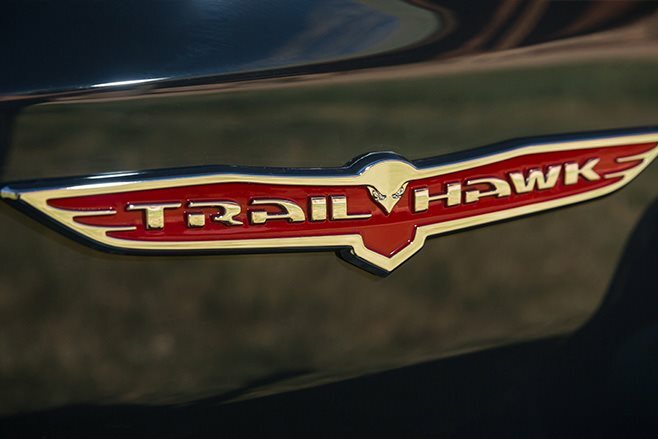 The all-new Trailhawk, priced from $74K, debuts in Australia with a 3.0-litre turbo-diesel V6 (184kW/570Nm) mated to an eight-speed automatic transmission. 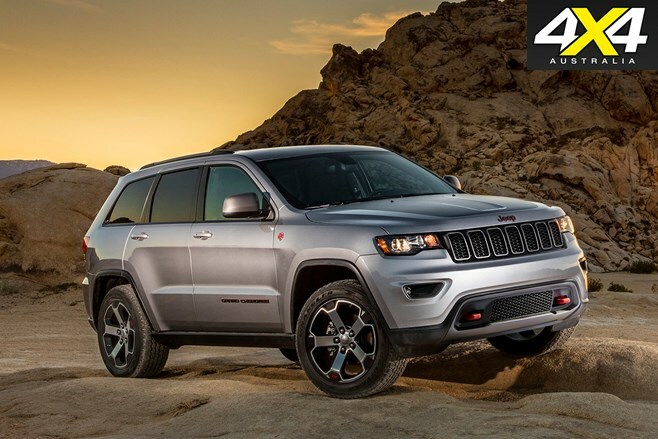 Thanks to Jeep’s Quadra-Drive II 4×4 system (which features an electronic limited-slip rear diff) and a Quadra-Lift air suspension tune, the trail-ready Jeep has improved wheel articulation and a ground clearance of 260mm – the highest clearance ever for a Grand Cherokee. 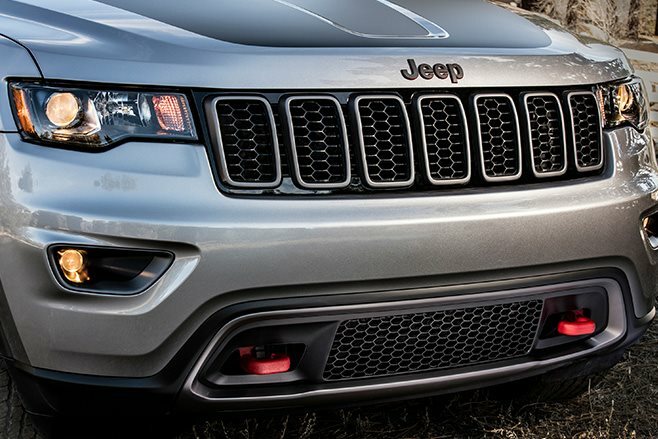 The Trailhawk’s belly is afforded protection via four underbody skid plates, while red front tow hooks, a matte black bonnet decal, and neutral grey mirrors and grille give the 4×4 an aesthetic boost. “The arrival of the new Trailhawk model, with its heightened off-road abilities, is particularly exciting for Australia, a nation whose core values resonate strongly with Jeep’s love of freedom and adventure,” Jeep Australia Director, Guillaume Drelon, said. Alongside the new Trailhawk, Jeep has also updated the rest of its Grand Cherokee 4×4 range, beginning with the 3.6-litre V6 Laredo (priced from $52,500). At the other end of the spectrum is the 6.4-litre V8 SRT (priced from $91,000). It is good news for 3.6-litre Pentastar V6-powered variants (Laredo and Limited), as they’ve been injected with a power increase to 213kW, as well as a four per cent fuel-economy improvement. 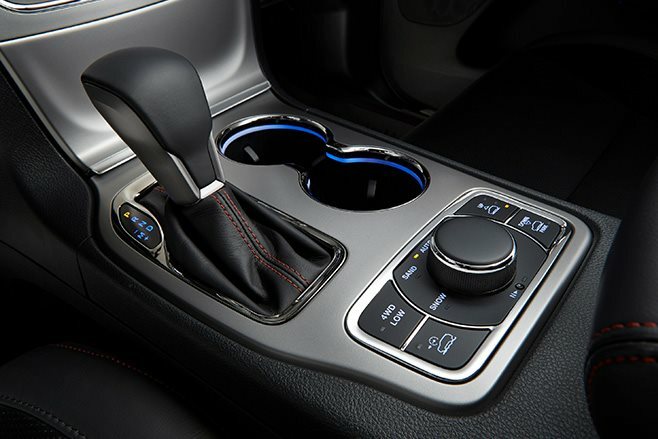 Drivetrain revisions also include a new electric power steering system and an Eco Mode as part of the eight-speed auto transmission. 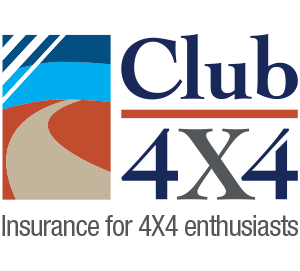 Plus, a Gen II transmission has been developed for 4×4 EcoDiesel variants. Further changes to the range include exterior refreshments – new grille, headlamps, front fascia and LED fogs. A new range of 18- and 20-inch wheels are also now available, as well as six new exterior colours. The Grand Cherokee range introduces LaneSense Lane Departure Warning Plus, Parallel and Perpendicular Park Assist, and Rear Trailer Hitch Camera View. Towing capacity across the board remains at 3500kg. All 4×4 models (except the SRT) now have Jeep’s new Off Road Pages installed within the 8.4-inch Uconnect touchscreen. “The updated Grand Cherokee range is not only more refined on-road and more capable off-road, we’ve bolstered its safety credentials and made it even better value for money,” Mr Drelon added. 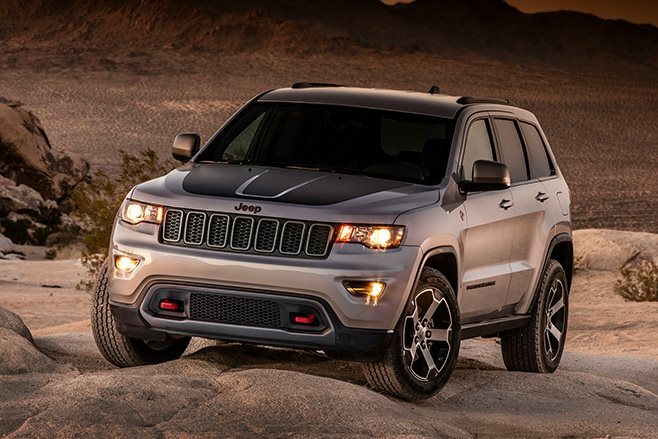 The updated Grand Cherokee range will hit showrooms in March, 2017. Does the MA/MC rating affect insurance premiums? Even though these are a capable 4×4, they are still classified as not an offload vehicle.